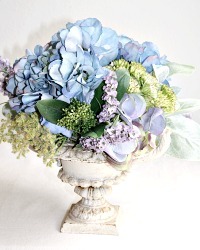 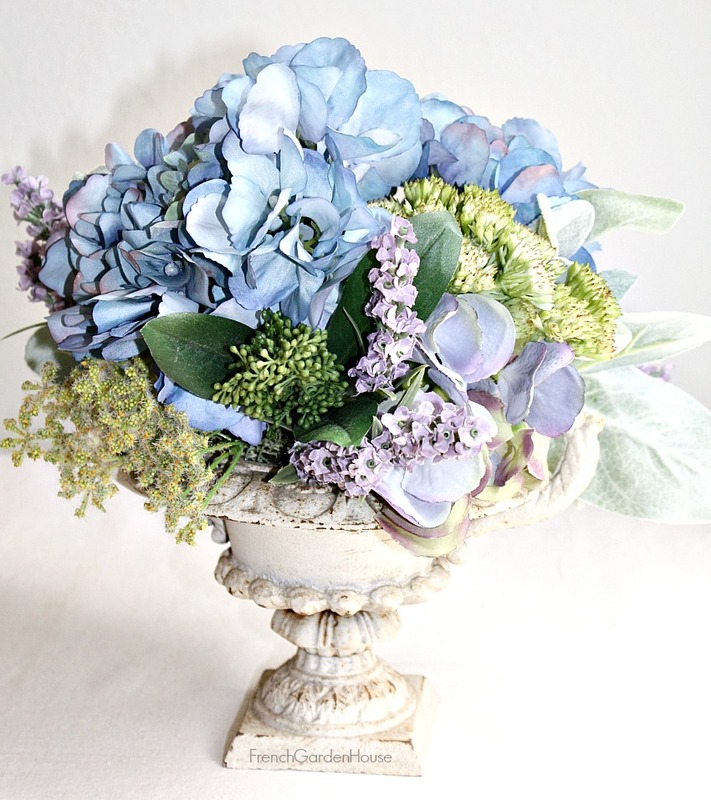 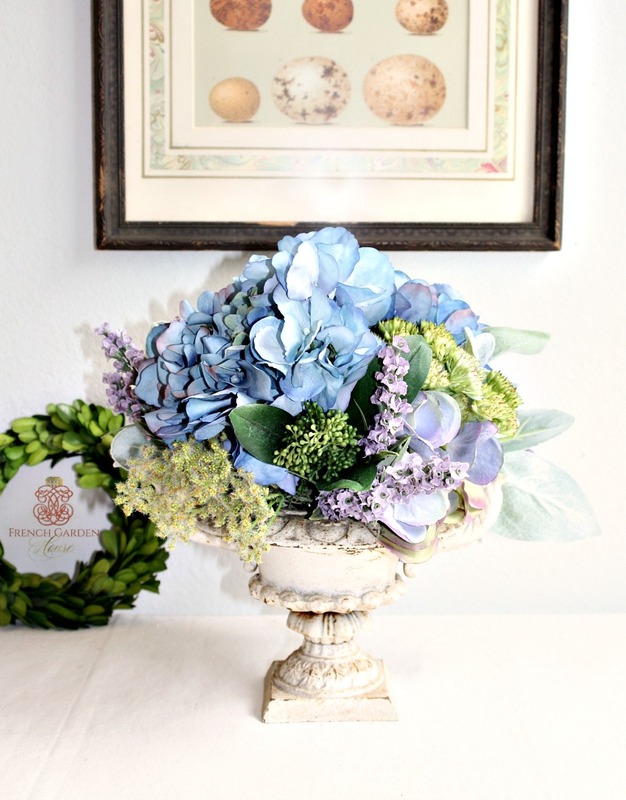 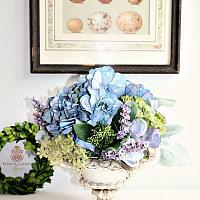 Casual yet elegant, these heavenly blue faux hydrangeas are arranged in a heavy cream metal French château style urn with green sedum, lavender and velvety soft lamb's ear. This arrangement will bloom long after your garden has faded. 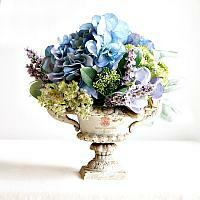 Place on your antique commode or side table, shelf or night stand for beautiful French Country style.